Sensei Luft is a certified JKA 7th Degree Black Belt, instructor, judge, and examiner. He is a senior instructor with JKA Shotokan Karate Do International under Chief Instructor Sensei Masataka Mori, 9th Dan. 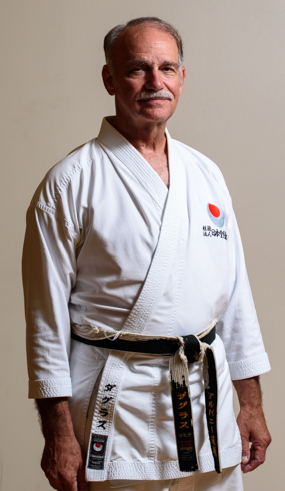 Sensei Luft has been teaching karate since 1970 and graduated from the first JKA -SKDI SKDI Instructors' Course in 1978 under the guidance of Sensei Masataka Mori. He was an eighteen year tournament competitor and SKDI Kumite Champion in 1988. In 1983 he was on the NAKA Regional Kata Team (Synchronized Kata) that won the AAKF National Championship. Sensei Luft is a frequent guest instructor and examiner at the many university and regional clubs throughout the North Atlantic Region and was a Adjunct Lecturer Traditional Karate at UAlbany 9/87-12/91.